Riders wait for a bullet train at Tokyo station. Magically, for a week or so this February, major carriers to Japan dropped fares: Boston to Tokyo, $500 round trip from March through May. You read that right: $500. If you were fast and lucky enough, congrats, but for the rest of us there is hope. While most carriers are posting summer fares of ballpark $1,500, Air Canada, Emirates, and Cathay Pacific hover at $900-$1,100 round-trip, and last year I flew Delta to Tokyo in June for $800. Check websites daily, and as soon as fares drop, buy seats. Lower fares mean that you can now travel independently to Japan: You don’t need a group tour, and you certainly don’t need a guide. Japan is gearing up for the 2020 Summer Olympics in Tokyo, and that means more governmental programs to train people in the tourist industry to communicate in English. I’m in Japan four or five times a year, and here are some very specific suggestions to help you navigate like a seasoned traveler to this deeply complex and beautiful nation. If you have deep pockets, stay at hotels with Japanese ambience. Three of the best are The Imperial Hotel, The Palace Hotel, and the Tokyo Station Hotel. The vibe is respectful and subdued, which is unlike the effusiveness that you get in upscale, international brand hotels. Clientele at these places is chiefly Japanese. Here’s why a Bostonian can feel more at home in Kyoto than in any other city in Japan. When you arrive at Narita or Haneda airports, you can take a train to Tokyo station and, from there, a subway or taxi to your hotel. The train is faster than the airport limousine bus, but the bus has the advantage of dropping you off at your hotel. Both cost the same: 3,000 Yen. Within Tokyo, the subway system and Japan Rail lines are safe and efficient. Get a Pasmo card at a station — the Japanese version of a Charlie card. Download an app of the subway system and you can find your way around easily. 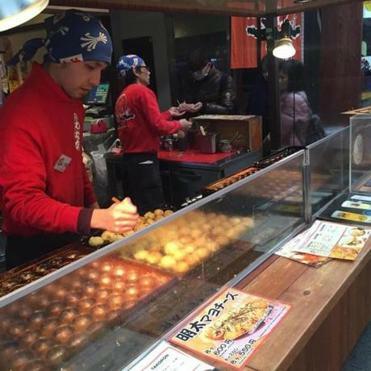 Takoyaki, fried dough usually stuffed with minced octopus, being cooked and sold in Kuromon Market in Osaka. Japan has an undeserved reputation for expensive dining, but it’s far cheaper to eat well there than in Boston. The reasons are the huge competition between restaurants and the small size of most apartments, which means that many people eat most of their meals out. Japanese in general don’t care about celebrity chefs either so what you’re paying for is food, not name-brand marketing. Ramen is regarded chiefly as student fare with cult followings for favorite joints. It’s cheap, good, and satisfying, and you might add to filling up on this fast food by enjoying yakitori (grilled chicken), soba or udon (noodles), or tonkatsu (fried pork). You really must go to the spectacular food halls in the basement of every department store — buy prepared foods for hotel or train picnics, including delicious sushi. Japan also has first-rate pizzerias, trattorie, bistros, and American barbecue. Where to eat can be decided readily by going to three terrific sites: bento.com is a website run by ex-pat Robb Satterwhite, who’s been living in Tokyo for more than 30 years. Or read Robbie Swinnerton’s first-rate archived food columns in Japan Times, available online. Then, too, there’s Time Out. While many restaurants in Japan do not have English-speaking staff, they often have menus in English or with photos of food. You can also order your meal in advance by asking your hotel concierge to call the restaurant. Either way, come with cash, as credit cards are not accepted everywhere. And expect to get lost trying to find the restaurant: Ask your hotel to print a map — establishments are often hidden and streets and numbers are not arranged logically. If you are planning a short stay of about 10 days, you might consider getting a Japan Rail Pass in advance. It won’t save you much money, but it is convenient. You still must reserve seats on trains, which you can do at JR offices. You can also fly with All Nippon Airways (ANA) anywhere in Japan for about $85 one-way. Don’t try to see everything on your first visit. You will be jet-lagged, the time difference of 12 hours is discombobulating, and the stimuli of a vibrant and very different nation are difficult to respond to with vigor. 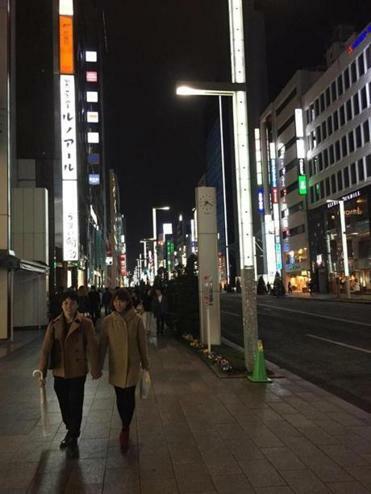 Instead, spend a couple of nights in Tokyo at the beginning and end. See Ginza, Marunouchi, Yoyogi Park, Nihombashi, Hibiya, and Harajuku: From ultra-sleek Fifth Avenue style to palatial refinement to student digs. Then head to Kyoto, Boston’s sister city, for three nights: temples, classic shops, river cafes, bicycle rentals. Good digs can be found at Kyoto Travelers Inn, which has ongoing ties with some Boston institutions; posh digs at the Ritz-Carlton; great values at Hyatt Regency. You might also include visits to Osaka, Kobe, or Hokkaido; on Hokkaido, car rental is best since public transportation (except for ski season) is limited. Take name or business cards to give out when you meet someone. It’s common practice in Japan. Learn a few words in Japanese. Take clean socks, as well as shoes that are easy to slip off. Put your cellphone on airplane mode and use Wi-Fi at train stations, airports, and a few cities. Or rent a phone in Japan. Roaming charges for US carriers are high. No loud conversation in public places. No cellphone conversations on trains or subways or restaurants or cafes. When you reserve a table at a restaurant, show up or you may be charged. Don’t worry about bowing. It’s not expected from Westerners. No tipping in taxis or hotels. By no means is it typical. Cash is used far more often than credit cards, and Japanese banks do not work with most US ATM cards. You can get money from ATM machines in 7/11 stores and foreign banks. The country recently started tax-free pricing so if it’s a big purchase, make sure you don’t pay the surcharge. Finally, come prepared to be surprised. 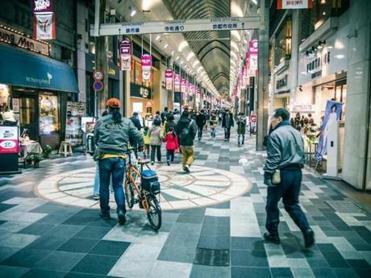 Japan is best known for its old traditions, but you will also find wonderful coffee salons, jazz halls, bistros, wine bars, rave clubs, galleries, and an extraordinary mix of vibrant cultures — from fashion to music to art. Scott Haas can be reached at scotthaas27@gmail.com.